I post a lot about beers on tap at local breweries. But I also drink a lot of beer out of bottles at home. Every once in a while there is a beer that stands out form the rest and these are the ones I want to recommend to readers. 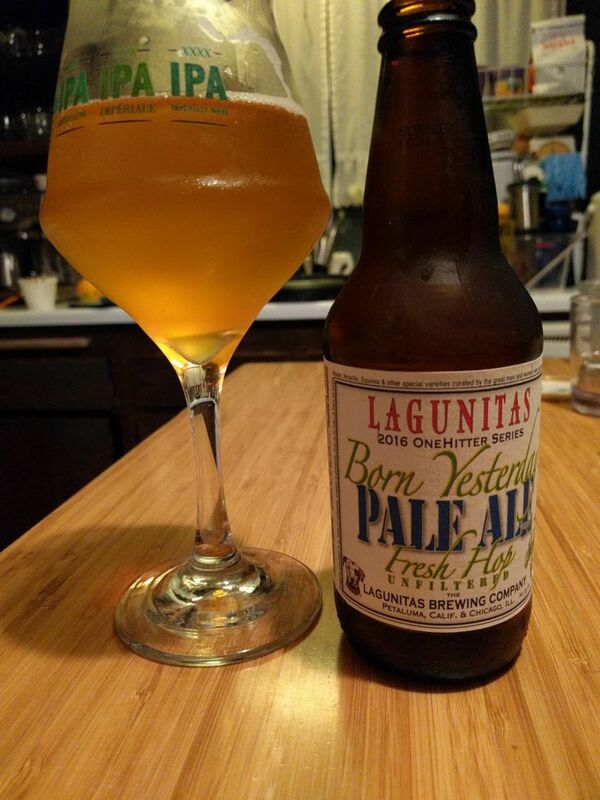 This week the beer that stood out to me was Lagunitas Brewing Fresh Hop Born Yesterday Pale. Though sadly not bottle-dated, if you buy it anytime in November 2016, preferably in the first two weeks of November, you can rest assured it is fresh. Born Yesterday has a strong grapefruit nose and pours a clear golden color. The beer has tons of grapefruit and a good amount of dank pine and the hop character is bursting like you only get on a beer that is extra fresh. When I had my first bottle earlier this week I immediately compared it to Zombie Dust from Three Floyds in Northern Indiana because the beer reminded me of what it was like to drink that delicious beer on tap at the brewery. If you like a good IPA, go out and grab some Born Yesterday yesterday, or as soon as possible. Try to drink it within the first two months of November for optimum freshness and enjoyment. Make sure you store this beer in the fridge as well once you buy it. I’ve taken a lot of trips and visited a lot of breweries over the last three years. 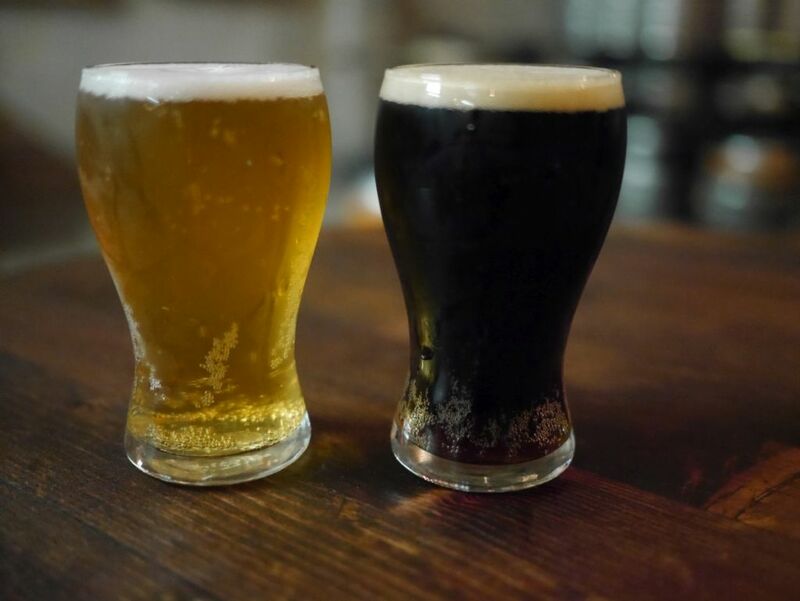 In most cities two or three breweries jump out as fantastic while others are usually pretty solid. Either I visited at a time when the breweries were in a slump or a number of the breweries I visited in my Sacramento trip were not up to snuff. 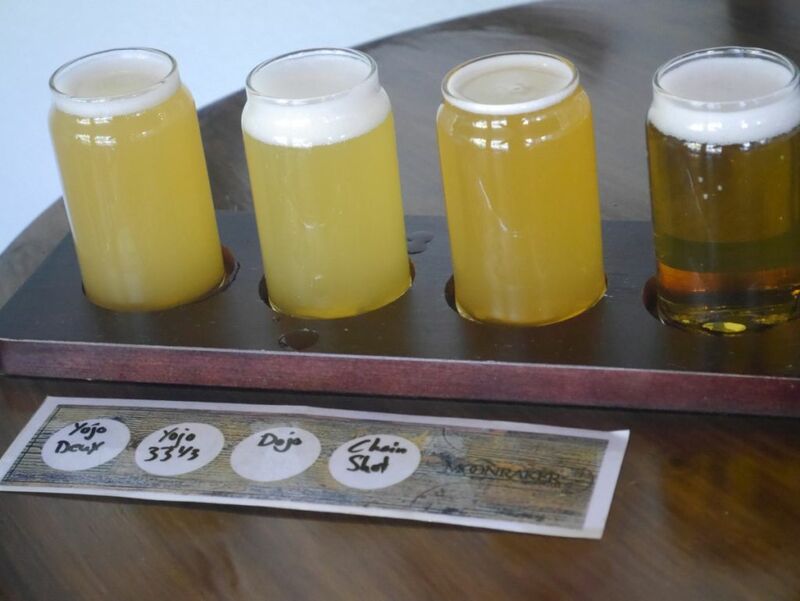 Though Knee Deep, Moonraker, Mraz, and Black Vinyl Ale Project are a ways outside of the city itself, based on beeradvocate forums research they are considered Sacramento breweries by locals and they were recommended over others in the city itself. This suggests to me that the breweries I didn’t visit in the city must be even worse. After a while I just couldn’t stand the idea of hitting another brewery in the area. Because I was staying in the city I didn’t want to make the drive back to Auburn again to return to Knee Deep. Knee Deep is the only brewery of the entire trip that I had ever heard of prior to my research. 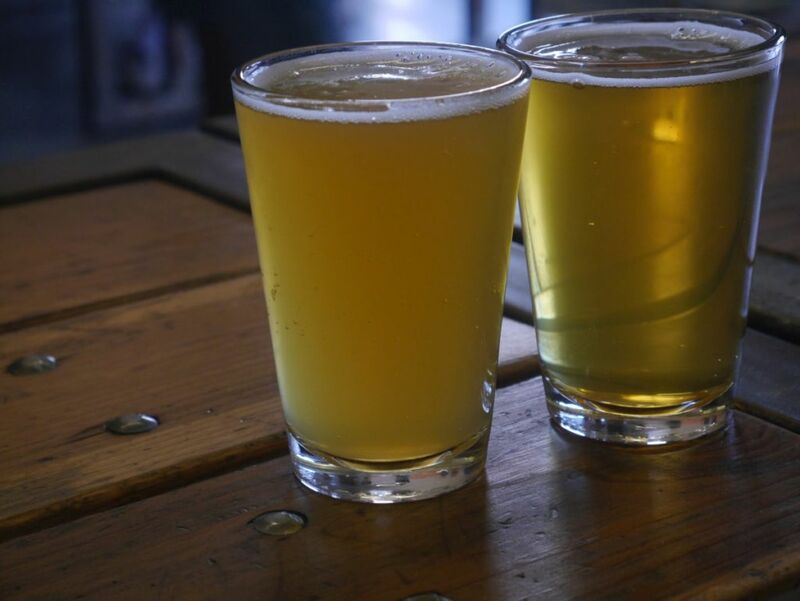 Many readers may be familiar with their beers as their hoppy beers are pretty broadly distributed in California. I was glad to find out that they brew stouts as well and even a number of other styles that don’t usually make their way down. Because they had over seven double IPAs on tap I asked for a few recommendations of the freshest to taste and added a stout for my husband. Big Sipper was super smooth with tons of citrus and tropical fruit. Hoptologist was really flavorful with tons of tropical fruit and citrus. Simtra was a bit resinous and bitter and yet super smooth for 11%. The beers seem to all have similar malt bills and so they all started to taste a little similar after a while. I should have stopped with those three hoppy beers because the Citra Extra Pale tasted a bit old and had lost the hop luster of a fresh brew. The imperial Fanilla was a tasty imperial porter that had tons of roast and strong vanilla in a thin body. The IPAs were all tasty but didn’t blow me away at the source like some other breweries. Mostly I found the IPAs to be a cut above the average but I’ve had better at a few San Diego breweries. 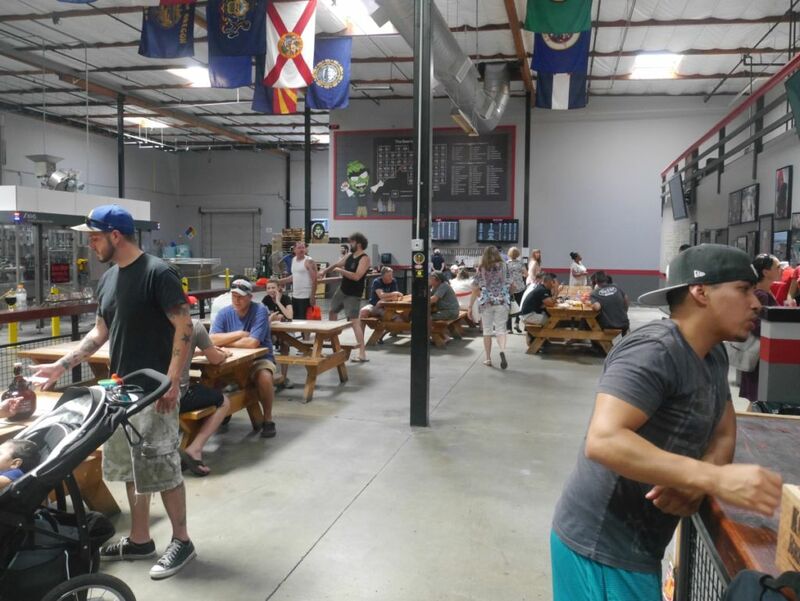 Knee Deep has a large tasting room with plenty of indoor seating, two separate bars, some outdoor seating, and room for food trucks. I was surprised to see a few people sitting outside even though it was quite hot when I visited. They had tons of bottles available for purchase and offered growler and crowler fills of most of the beers. Moonraker is only about a mile away from Knee Deep. They have a smaller tasting room that is able to stay nice and cool with a strong air conditioning. 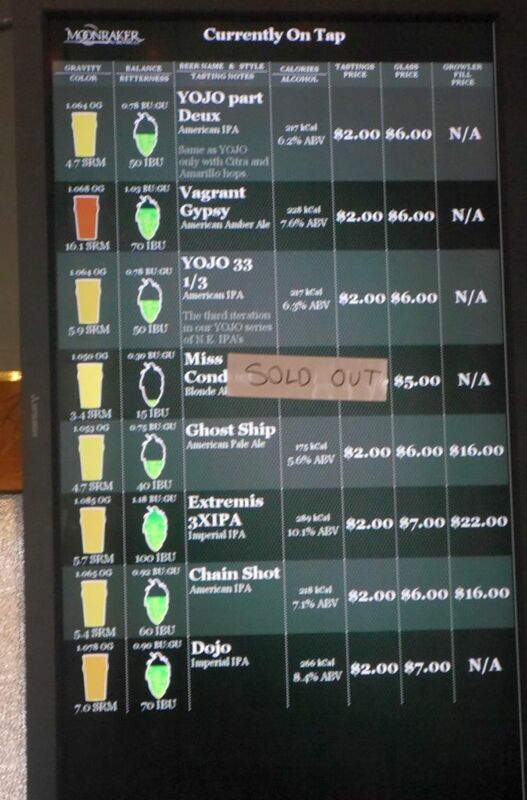 Around the time of my visit, their cloudy, juicy, IPAs were getting so popular that they had to restrict growler fills. Sadly, they didn’t live up to the beers that pioneered the style or even to some newer IPAs of a similar style that Modern Times has made. The Yojo Deux was dank and citrusy with a cloudy yellow color and notes of mango and peach but it was unbalanced by a strong acidic finish. The Yojo 33 1/2 was slightly less cloudy and had hints of melon, pear, and green pepper. I thought the beer had an off-putting herbal finish that I didn’t really care for. The Dojo was also herbal and quite bitter and my least favorite of the bunch with a similar acidic finish to the first. 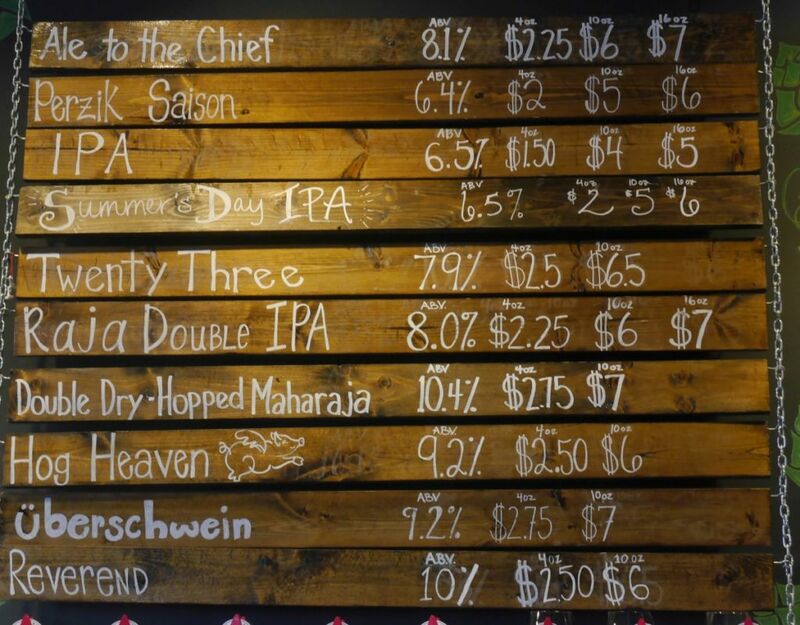 Gotta love their tasting board and how they tell you how hoppy things are. Chain Shot 7 was smooth but lacked significant aroma character. It is possible that I tried an off-batch of a few of these IPAs but I didn’t finish what I tried. It is a shame because I really liked the feel of their tasting room, which had plenty of seating, strong air conditioning, and good wi-fi. Moonraker has recently gotten popular for cloudy juicy IPAs though I was not impressed by what I had. Black Vinyl Ale House has been doing a number of sours and had quite an expansive tap list available but I didn’t enjoy the first flight enough to try anything else. I started with their citrus saison, which was the only good beer of the bunch. It was nice and earthy with fruity yeast character and a dry finish. The sour stout had a mild coffee base with a tart finish but overall quite average and didn’t taste like much. The sour red tasted like balsamic vinegar so strongly that I couldn’t taste anything else. Though I’ve gotten acetic acid notes before I’ve never had anything this strong. The sour saison had a strong flavor of lime and a strong supporting ginger note and was quite acidic. It didn’t really taste like beer though if you like strong ginger and lime flavor you might enjoy this. The imperial stout presented mostly strong dark fruit with some mild roast, fairly average. 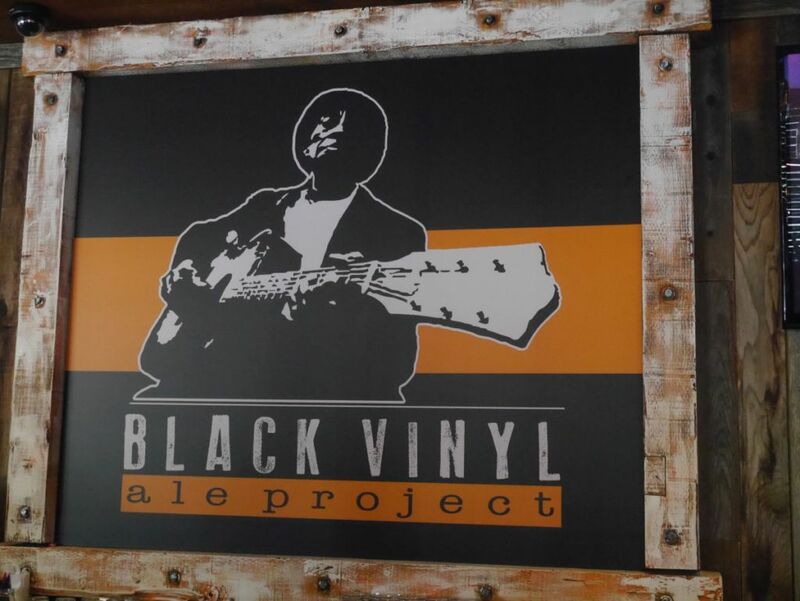 Black Vinyl has a long way to go before their sours are anywhere near the level that I would recommend them. 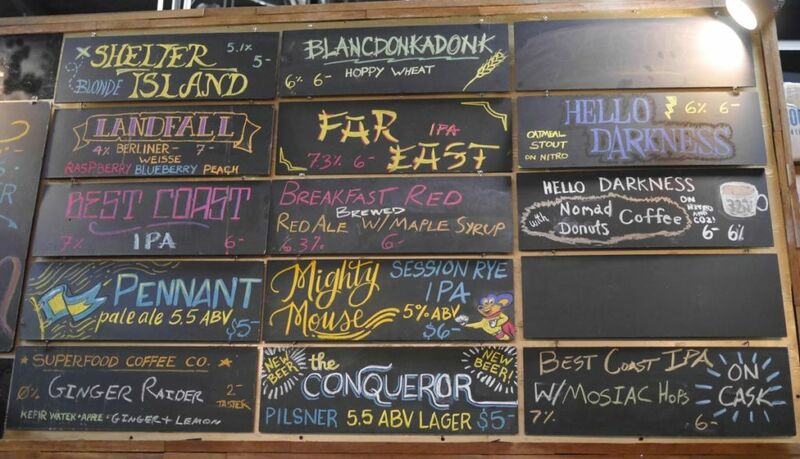 Mraz is the only brewery of the bunch that I want to give the benefit of the doubt because they had a fairly strong traditional sour program going at the time and the only sour on tap when I visited was a kettle sour and they had just started that program. I probably should have ordered a bottle of their sours to enjoy on site though outside of certain Belgian breweries, I review breweries based on what they have on tap. Mraz is also quite a long way away because they are on the other side of a large lake so that whether you are coming from the west or the east you are going to have to take a number of surface streets to get there. Mraz was probably the only brewery besides Knee Deep that really impressed with hoppy beers. I really liked the House Party IPA they had which was super fruity and a good example of how to do a mosaic IPA. The plum (kettle) sour on the other hand was seriously lacking in flavor. Before leaving I tried splashes of the two other beers on tap that sounded interesting but they weren’t good enough for me to order more so I just left. Mraz is known for sours and Belgian style beers though their kettle sours need a bit of work. Track 7 was the most recommended of the breweries in Sacramento proper and they were quite crowded when I arrived on a Sunday around Noon. I got a feeling the special event going on drew larger crowds than usual. Because of the crowds they weren’t offering flights so I started with two half pints of two different IPAs. The beer tender I ordered from didn’t even know how to describe the differences between the different flavors of the IPAs available, which should have been a sign to leave and go do something else rather than visiting more breweries. I tried the Sukahop first, their attempt at a cloudy juicy IPA. I found it had some juicy citrus notes with a strong herbal finish. While it shared some of the herbal notes I got at Moonraker, the beer was a big improvement over Moonraker. The Boomer’s Cut dominated with tropical fruit hops but had a strong alcohol taste on the finish that was quite off-putting. Since at the time they were only really serving IPAs and lighter pilsner style beers I stopped there in part to get away from the noisy crowd and long lines. I generally tend to dislike herbal hop notes in IPAs so if that is your thing you might like the Sukahop. Though they had a large tap list I didn’t feel like drinking much more after the first four tasters. I started with the helles, which was above average. It was balanced with some nice fruity hop notes and a crisp finish. The three IPAs I had were all overly bitter and lacking in aroma such that I didn’t finish any of them. The single IPA on tap was malt forward and resinous but the bitterness dominated. The double IPA was more fruity with notes of caramel malts but again bitterness dominated and it was a malt bomb. The black IPA was all bitterness with no roast and only some mild smoky notes. If you are into the new school aroma-dominant IPA, you won’t like much of anything at Device except the helles. Their IPAs were the worst of the whole trip. Some years ago I might have loved their IPA lineup but as I have progressed away from hunting out extreme bitterness, I find overpowering bitterness to be a sign of poor skills by the brewer. They had a nice dark feel inside with wi-fi but since it was impossible to go back to the helles after those bitter malt bombs I paid up and left each of the IPAs half drunk. 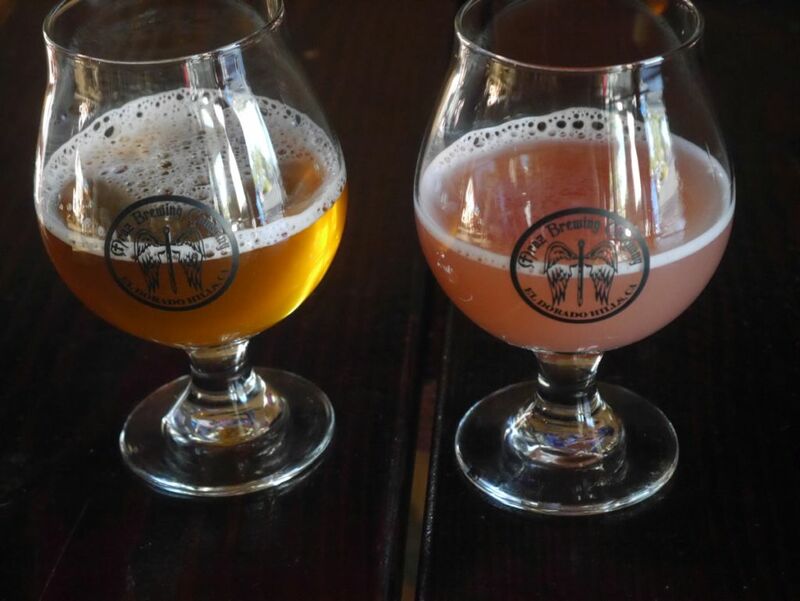 If you are considering a visit to Sacramento for beer, skip it and go to San Francisco instead where you will find much better breweries. 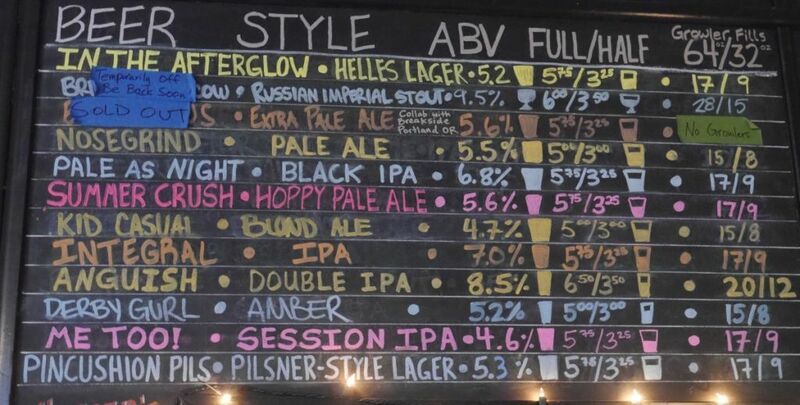 If you are visiting Sacramento for business or other reasons, skip the breweries and go straight to the local beer bars where you will find much better San Diego and San Francisco options on tap and probably some Knee Deep without having to make the drive to the brewery. 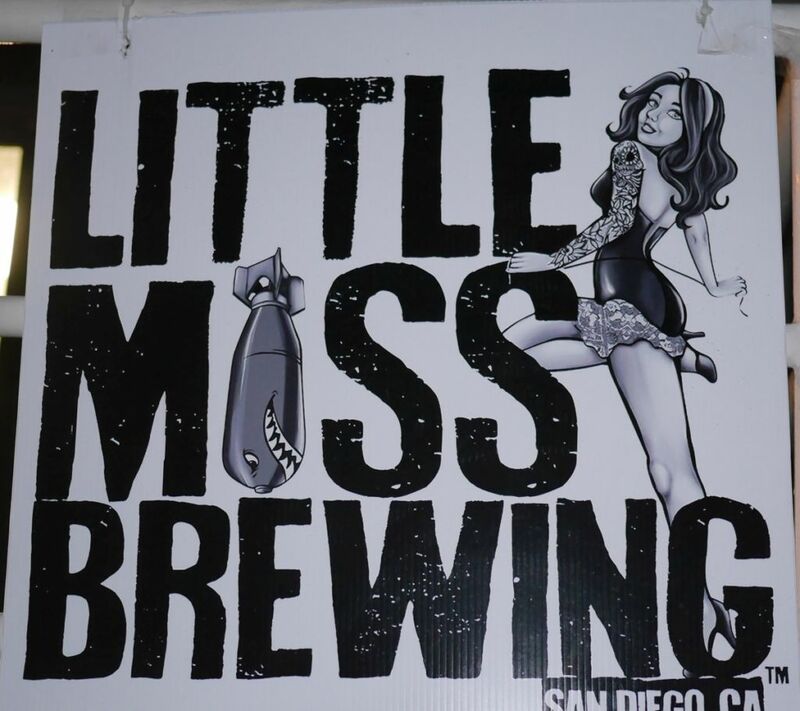 Little Miss opened recently in an area not far from other nearby breweries but a bit confusing to find. 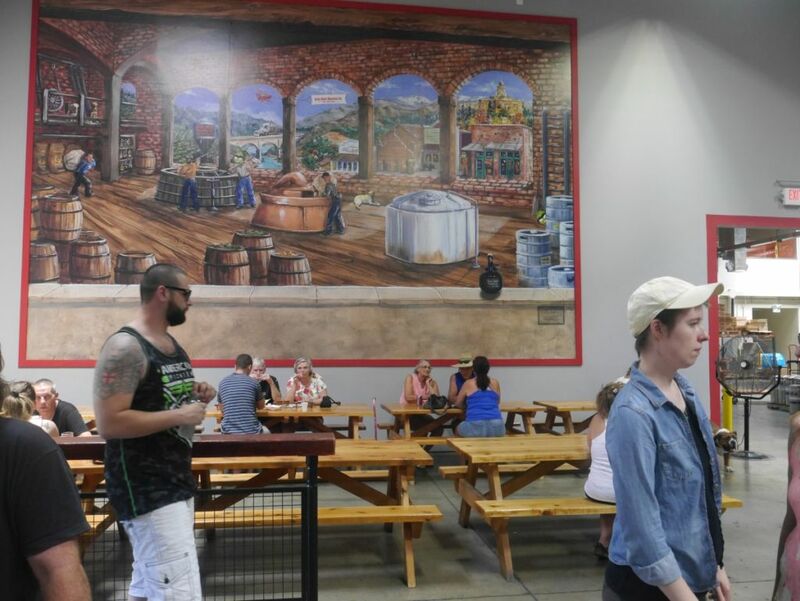 Like many other breweries in the area they are located inside a warehouse space. They have plenty of seating from the start, which is always good to see. 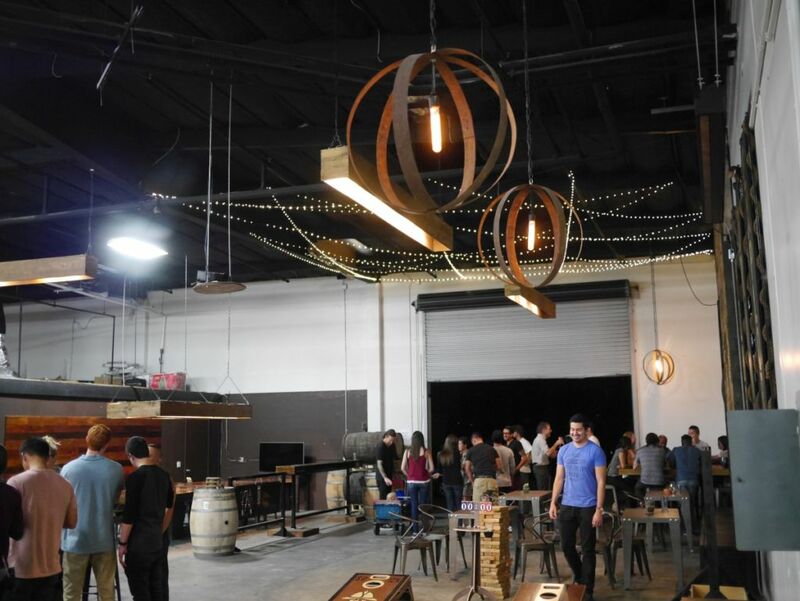 They were originally going to wait some time after opening before turning it into a tasting room but then beer enthusiasts showed up anyway and wanted to have some beer. So they quickly turned the space into a tasting room. If you have some difficulty finding them, Google will bring you to the end of a building with a driveway on each side. To get to the brewery you take the right driveway and head all the way to the back. 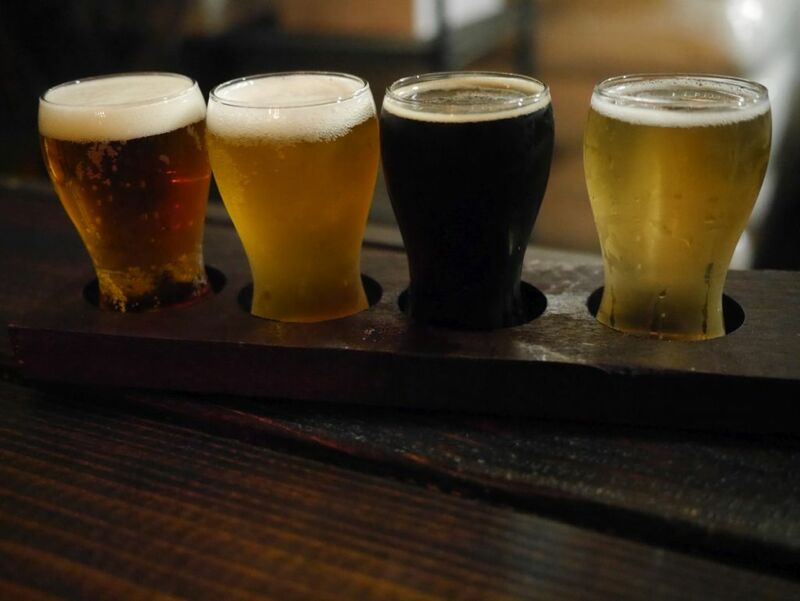 When I visited, I had a flight of four beers and two more before I left. 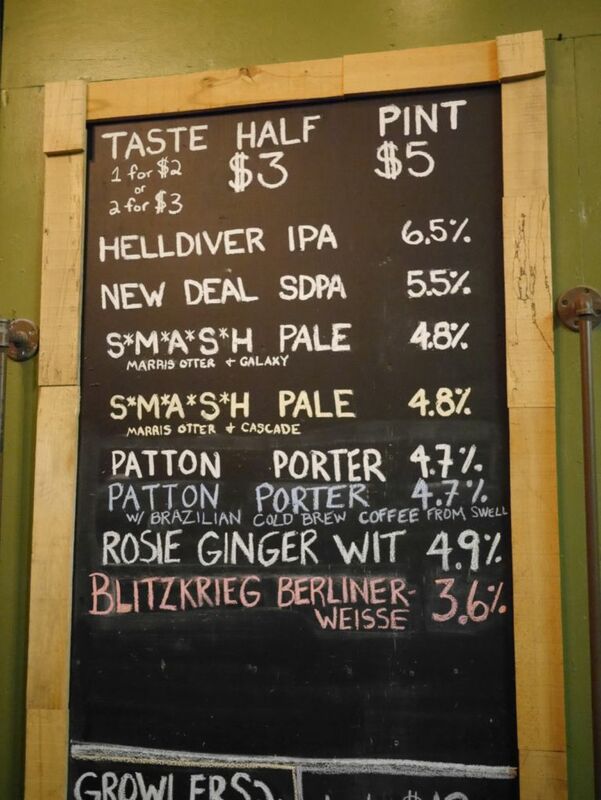 In total I tried the berliner weisse, SDPA, SMASH Galaxy, porter with coffee, IPA, and the base porter. The berliner weisse is tart and tasty giving some fruit, mild citrus notes. They offer fruit puree to mix in with the beer but I found it didn’t really add much flavor and it wasn’t as consistent as other places with syrups. The SDPA (San Diego pale ale) was a good mix of fruit and pine with a mild bitterness. The SMASH galaxy was pretty disappointing and lacked in significant aroma. The beer was crisp and mildly bitter but didn’t really pop. The porter with coffee was a good mix of coffee and roast and a good medium body. The base porter was delicious and complex with tons of roast, chocolate, and caramel. You can’t go wrong with either version though I personally preferred the base porter. The IPA was a fantastic mix of pine, grapefruit, and lemon hop notes. Though I don’t really care for pine on its own, when blended like this it works well. This is an excellent example of the West Coast style of IPA. 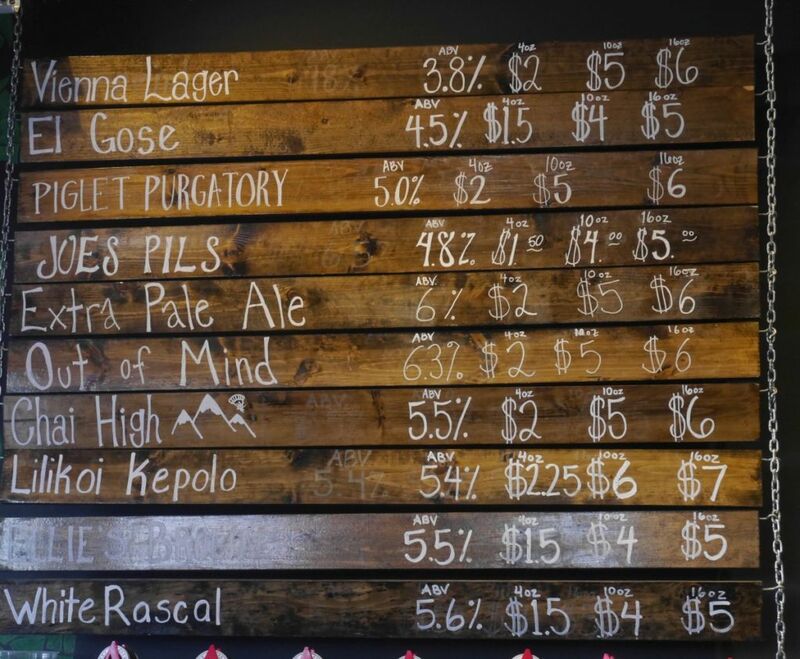 Little Miss isn’t pushing any boundaries but they came out of the gate with a great lineup of beers. 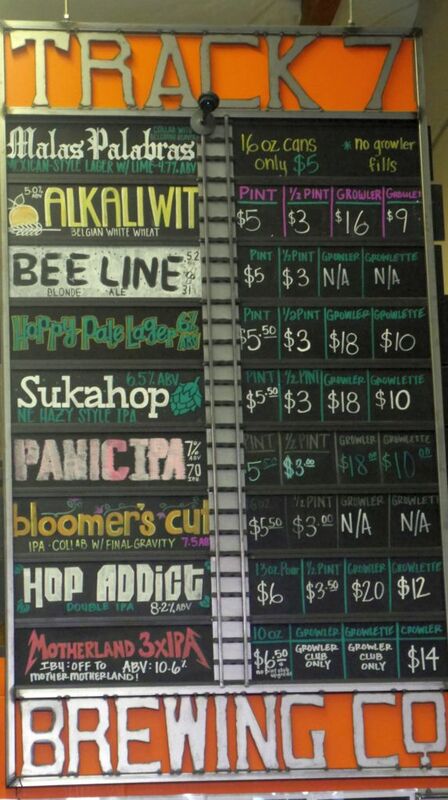 They are located right around Hess, Alesmith, and Mikkeller. Their combination of military imagery and pin-up art helps them stand out. I also really liked the seating provided, which used old kegs and placed pillows on top for a surprisingly comfortable seat. 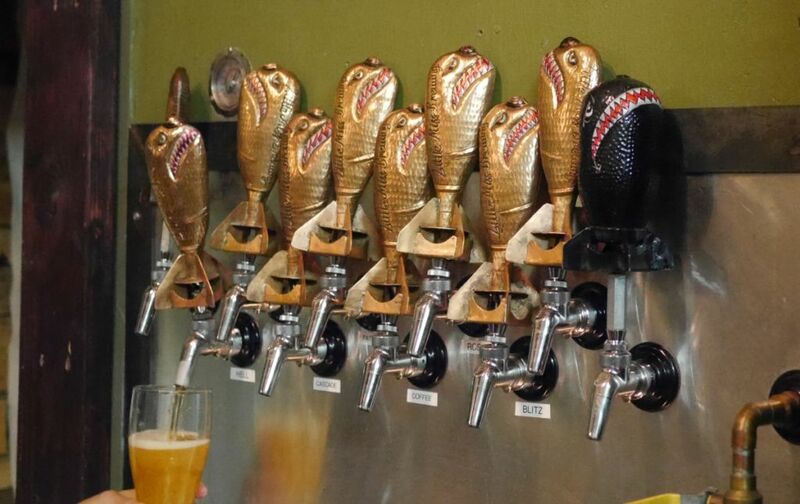 Tap handles in the shape of bombs. 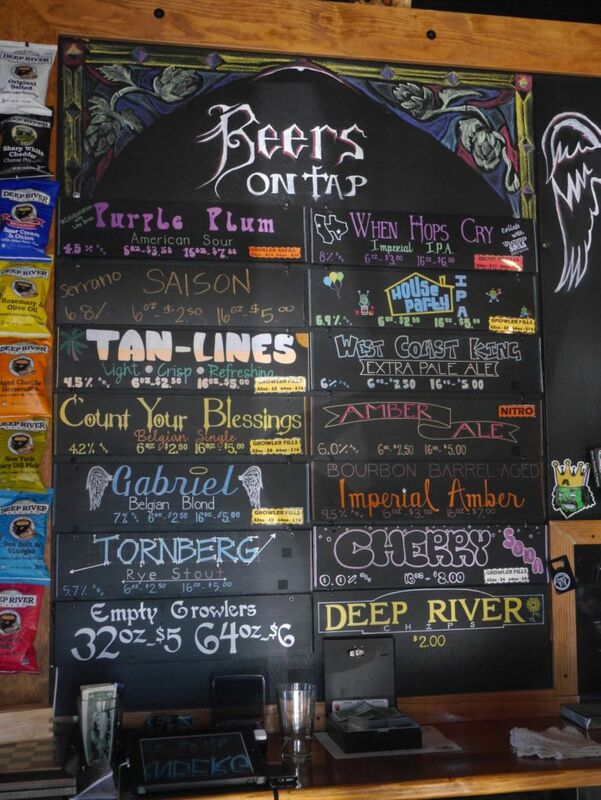 On my trip to Denver I made the drive up to Boulder area to visit Avery and in the process stopped by Odd 13 first to try the beers that never get distributed to San Diego. 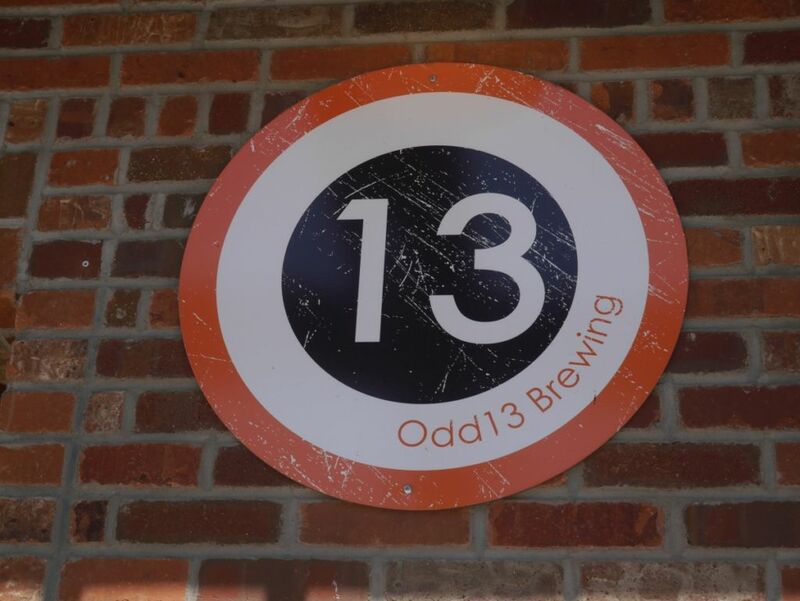 Odd 13 just celebrated three years and from my visit they seem to focus primarily on kettle sours and IPAs. They have a solid size tap room in an area six miles east of Boulder where the cell reception was terrible and the wi-fi unreliable. I started with some sours and moved my way on to a few IPAs. Amacron kettle sour was nice with citrus notes and mild hop character. The Durazndor kettle sour with peaches and apricots was nice and mildly acidic with a good amount of fruit character. This was my favorite of the three sours so I was glad they had cans available. The Vincent Van Couch was another kettle sour with tons of fruit notes from the sour mash. The Buzzin Cuzzin coffee stout was nice and mellow with smooth coffee character that balanced nicely with mild chocolate. For the IPAs, I finished with the Double Dry Hopped Super Fan. The beer had some nice citrus and herbal hoppy notes though the bitter finish didn’t jibe with the juicy style. The Hopperella was nice and smooth with notes of peach and vanilla. 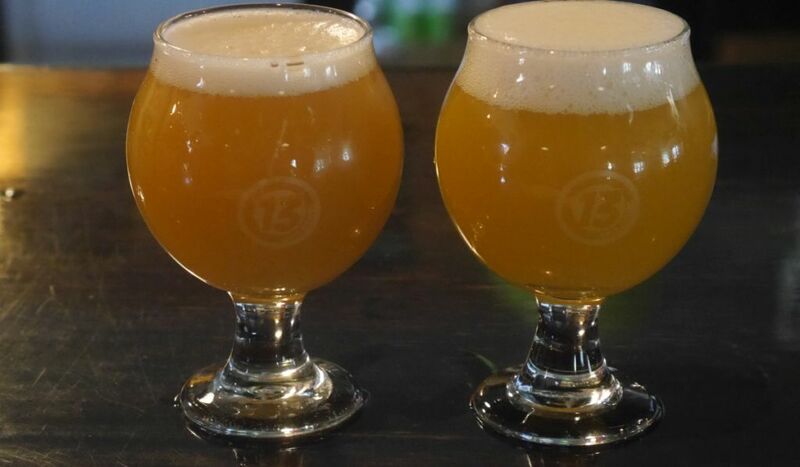 Both beers have the distinctive hazy unfiltered look and are tasty versions of the juicy style. 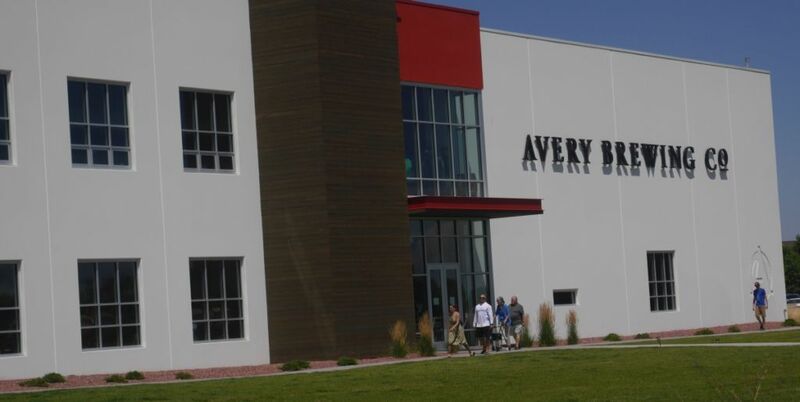 Avery is one of the larger breweries in the area, only surpassed by New Belgium for wide distribution of their beers. Though I’ve had most of their core beers before I wanted to visit the brewery directly to try them from the source. They have a massive two floor restaurant with plenty of seating and bar space for people to enjoy beers plus some outdoor seating as well. My husband enjoyed their always delicious brown ale that I used to buy quite regularly a few years back and their tasty stout. I stuck to their IPAs and finished with a brewery-exclusive sour. Their single IPA is a perfect example of the classic West Coast style of IPA with tons of dankness and citrus notes and a dry finish. The Double IPA is fruity and sweet with notes of peach and a nice thick malt base that balances it out perfectly. 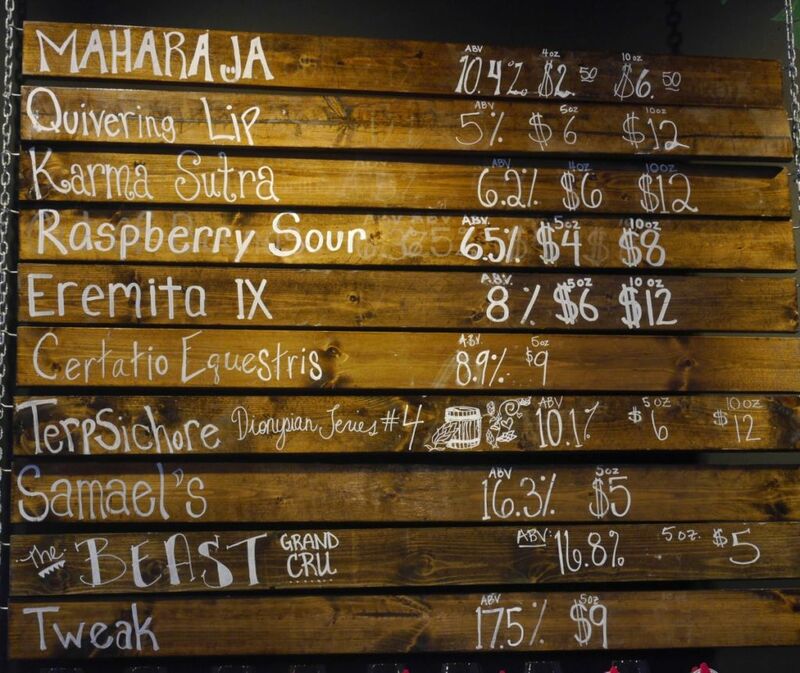 The double dry hopped maharaja was fantastic to have fresh at the source finally. It is super smooth and does a great job hiding its 10% alcohol. I finished with the Terpshicore sour made with wine grapes and aged in wine barrels. 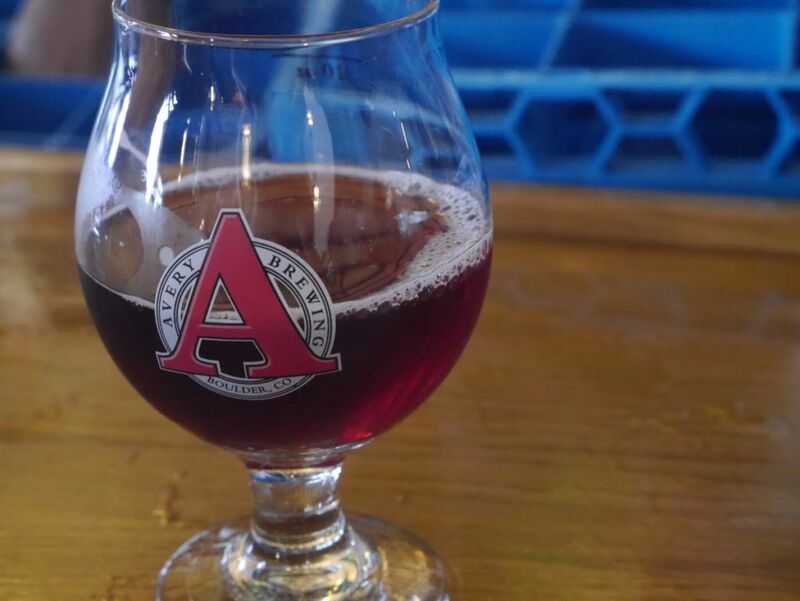 The beer looks like a nice full-bodied red wine and is nice and jammy with fruity notes from the brett and a mild acidic finish. Though $6 a taster I savored every sip and would order more again for sure. 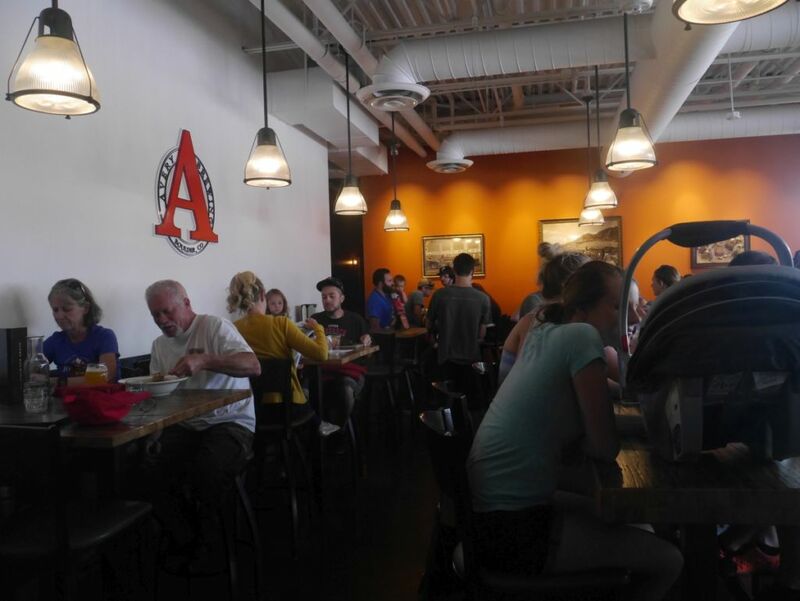 Avery has a wide variety of styles available from pilsner through to stouts and stronger IPAs, barley wines, and barrel aged beers including intense stouts and sours. 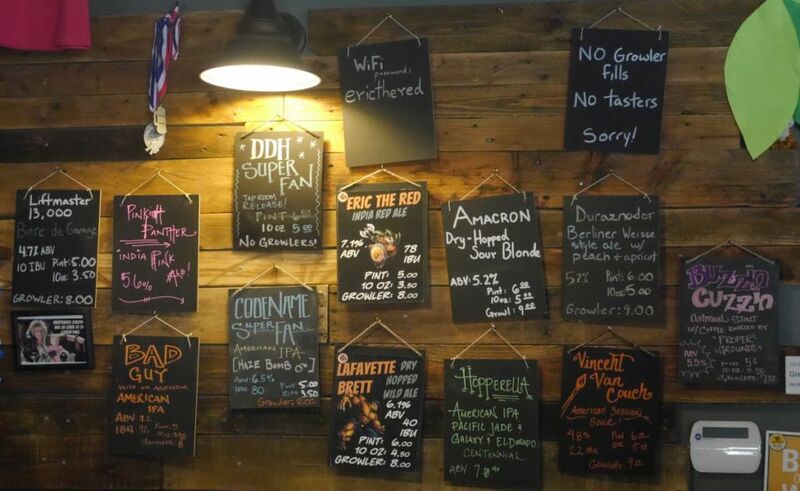 It is hard to imagine someone not finding something to enjoy among the large tap list. They also had a handfull of tap room exclusives that make it worth the trip. Covering breweries can require a lot of attention paid because brewers don’t always stay with the brewery for various reasons. I can’t speak to many of the reasons behind many of the notorious local shifts of brewers and I wouldn’t want to share the details even if I could. 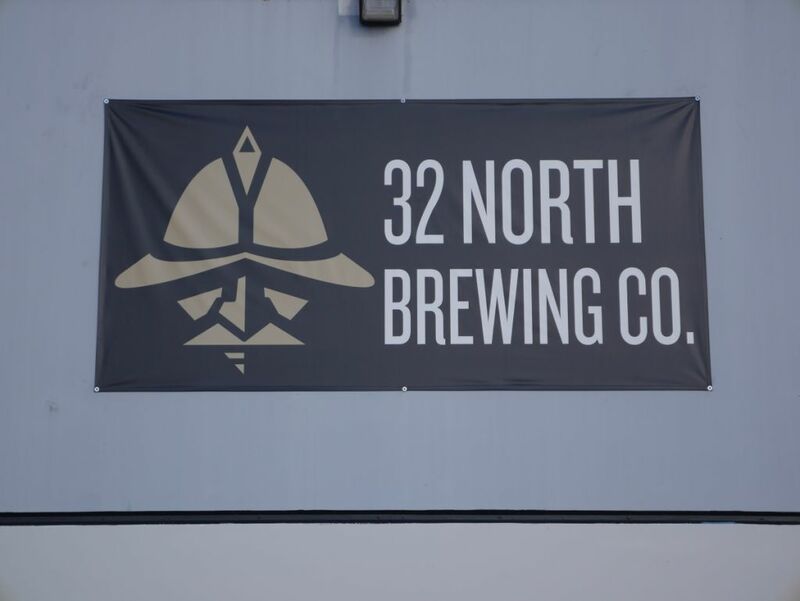 For 32 North, this meant they started with a brewer who came out of the gate with some excellent beer and then after a few months went on to open a different brewery, which is the quite-popular Bitter Brothers. Then another brewer was brought in to replace him and didn’t last as long as many expected. Some say he went back to the East Coast because he wasn’t a fit for the local scene. I could see this as a plausible explanation considering his version of the Best Coast IPA was too malty for local tastes. 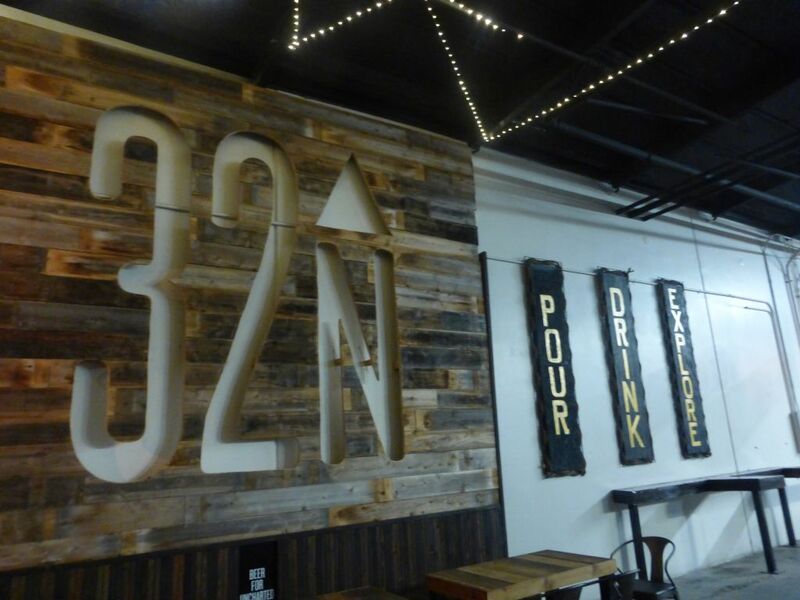 Now with their 2nd anniversary coming up, I visited 32 North again, giving their new brewer, Nick Ceniceros, formerly the head brewer for Fall Brewing, a chance to dial in the recipes on the different system. 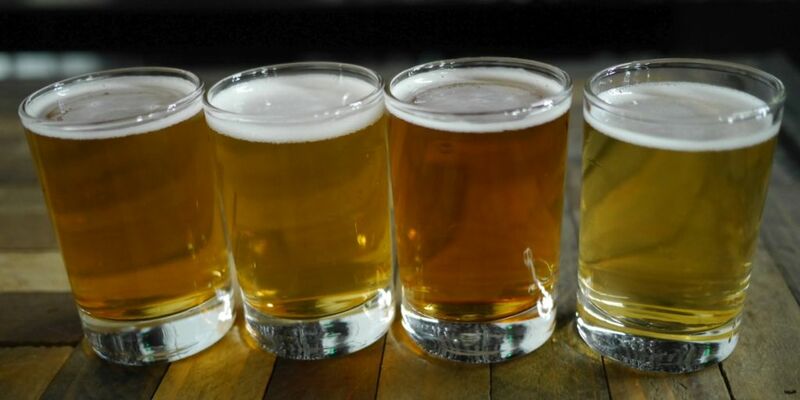 The changes from a year ago to now are drastic and show a clearer understanding of the local brew scene as one would expect from someone who has been a major part of the scene for a while. Of the beers I tried, all were well-made but four stood out as quite excellent. I can safely say that if Ceniceros stays on for a while, he will help cement 32 North as a powerful player in the crowded Miramar brewery scene. Look and feel wise, the brewery hasn’t changed all that much since it opened. They have always had the beautiful wood-dominated look that helps you quickly forget that you are in the middle of an industrial park. The design of their tasting board has changed quite a bit over time and the design they have now is pleasing and easy to read from a distance. I had two separate flights on my recent visit, trying seven beers and a cask variant of their house IPA to finish things off. 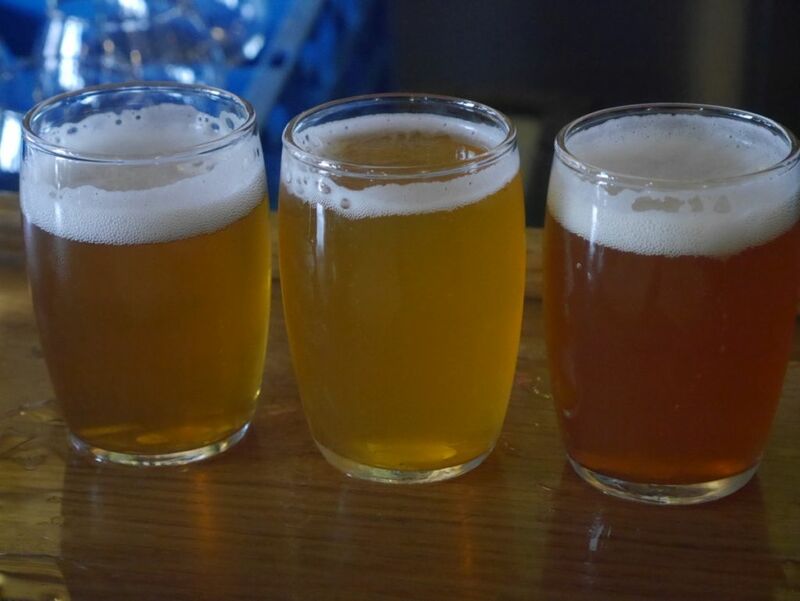 I started with a flight of Pennant pale ale, Blancdonkadonk hoppy wheat, Mighty Mouse session rye IPA, and Landfall berliner weisse (without syrup). The second flight I had the Best Coast IPA, Far East IPA, Hello Darkness oatmeal stout on nitro, and Best Coast IPA cask with mosaic hops. First flight with pale ales and Berliner Weisse. 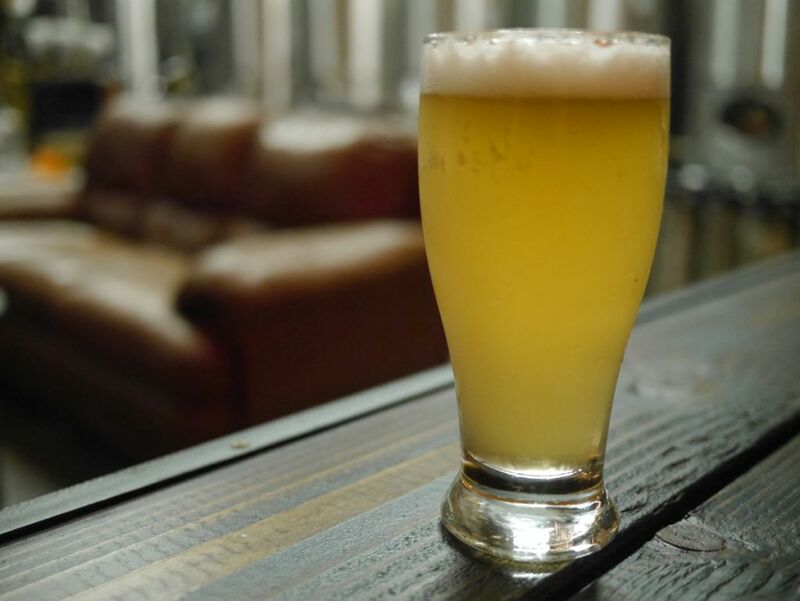 Penant pale ale is a smooth dry pale ale with a great balance of citrus, pine, and resinous hops. It has some malts backing it up but nothing that overpowers the hops as the traditional style tends to do. This was the first standout for me. The blancdonkadonk is a strange beer and a bit hard to describe. At first I got a lot of apricot from what I assumed were English hops over some fruity wheat malts. Then later on I got more passionfruit and other tropical fruit notes. I found the hops were a bit too much but mostly because the flavors weren’t for me. The Mighty Mouse session IPA was clean and dry with a great mix of dank resinous hops, some fruity hops, and as it warms up some floral/herbal hops all supported by a solid rye kick. I liked it more at the beginning but once I got to the herbal hops I lost interest. This is another beer where it mostly isn’t my preferred hops but is done well. The Landfall Berliner Weisse, without syrup, was excellent. It had a great medium body and some subtle fruit and citrus notes. They offer three flavors of syrup for this if you want to experiment though I prefer it on its own. Though they will be soon canning their blond ale, I hope this one day gets canned because it is quite excellent. The Best Coast IPA is a great mix of dank pine and resin hops and some tropical fruit towards the end. Though pine on its own is not a flavor I love, it is delicious when properly balanced as here. The beer also has a nice supporting malt backbone that is just enough to give it a good medium body without calling too much attention to itself. The cask version of Best Coast was super smooth with tons of mango, guava, and melon bursting from the beer. Surprisingly most of the dank flavors of the tap version were gone. The Far East IPA had tons of over ripe tropical fruit and a sticky sweet fruity finish. I couldn’t identify specific fruits but I really did not care for this one. I finished with the Hello Darkness oatmeal stout on nitro. The beer had a complex mix of roast, coffee, and chocolate notes all supported by a smooth caramel base. This would probably be the first beer for me to order in a pint when I return. It is an excellent oatmeal stout and I’m sure the coffee version is quite nice as well. It is a great sign that two of the stand-out beers for me were part of their core lineup and soon to be canned. 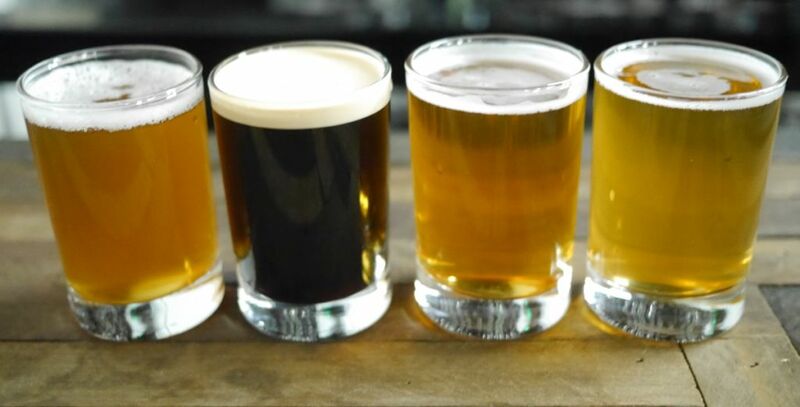 Even if you have been disappointed in the past with what you had at 32 North, you should absolutely return to try these delicious new batches. Their upcoming 2nd anniversary on October 21st.